Heavy Duty FX46 Servo Controlled Unit | Hypneumat, Inc.
Hypneumat offers a Heavy Duty FX46 Servo Feed Ball Screw Rail Unit. The unit shown is equipped with an ER40 spindle, 10 HP spindle motor, 6 inches of stroke, and has a thrust capacity of 1,500 lbf dynamic. This automatic feed unit will perform a demanding tapered boring operation. 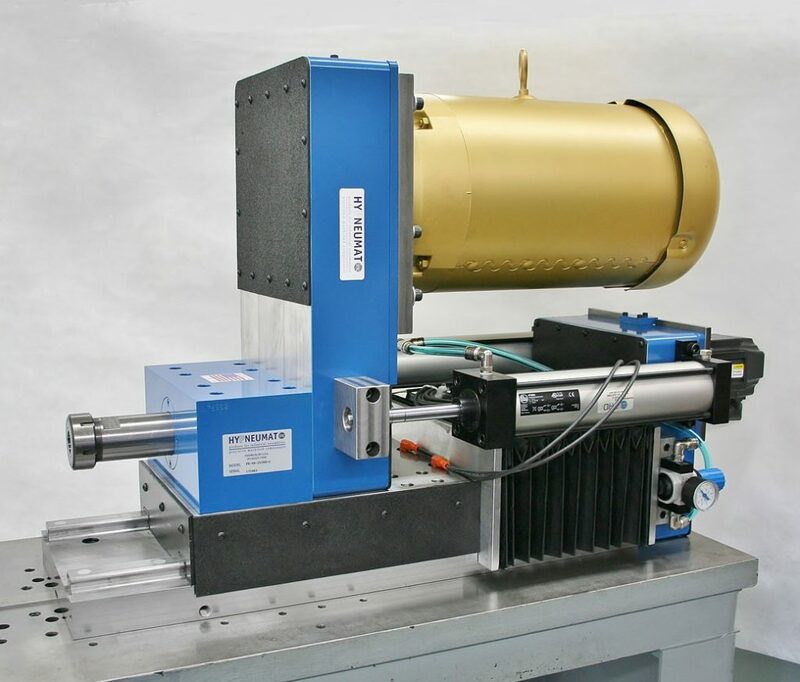 The axial servo motor allows for boring depth and feed rate programmability.